If you work in a primary school or are interested in personalising education for primary school children, we can help you make positive change. We work with schools, parents and pupils using person-centred practices, because we believe that children learn better and grow up happier and more confident when they are treated as individuals. You can learn more about person-centred practices in education through our online learning website, HSAOnlineLearning.org. How can I support pupils with transition? Person-centred thinking tools to support pupils through transition. How can I focus on raising achievement in a pupil-centred way? Using person-centred thinking tools with primary school pupils. How can I develop a detailed school development plan that reflects personalisation? Using person-centred thinking tools and Working Together For Change. Our learning about creating person-centred change. To deliver personalisation you must first be person-centred. 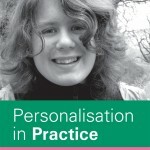 Passionate about personalisation, choice and control in practice. We'd like to keep in touch and email you regularly with ideas, discussion, new animates, and free posters.